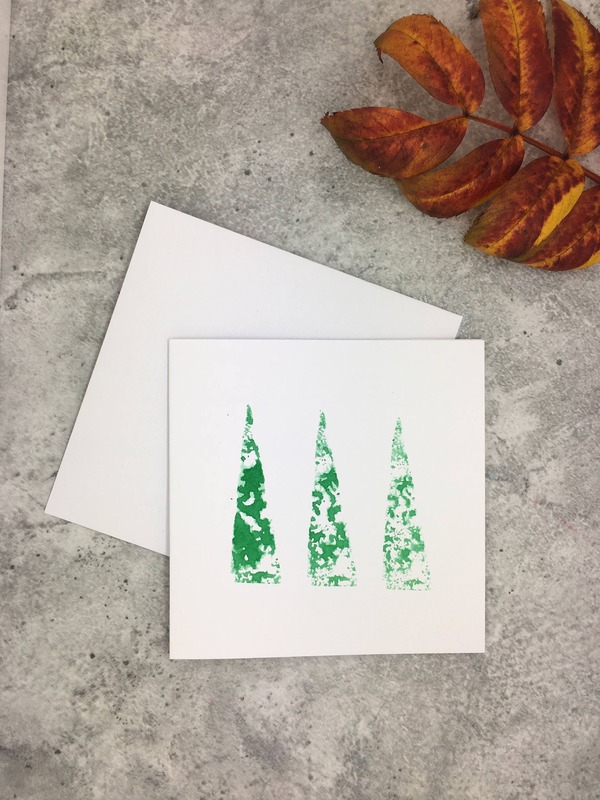 This is the three little trees card! 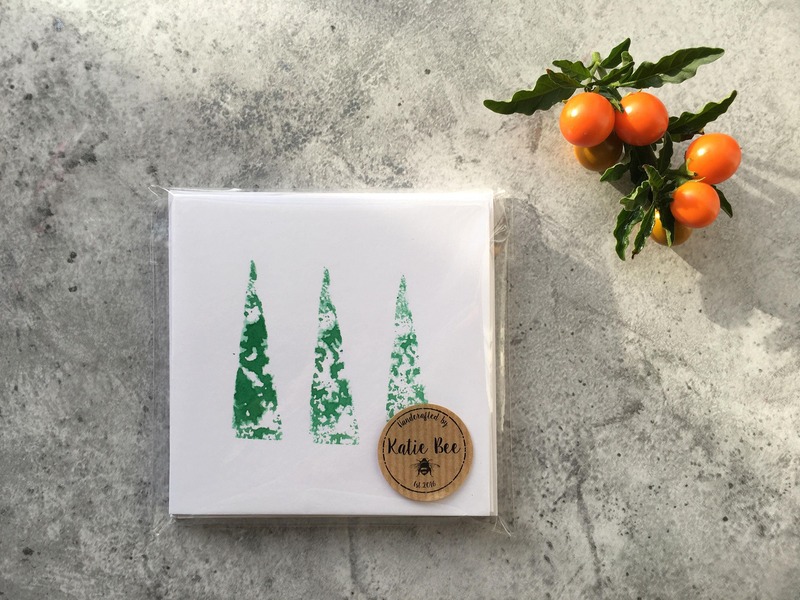 Each lovely little card is printed by hand using a hand cut stamp, and so naturally, every tree may slightly vary in colour. Cards are 4” x 4” and 250gsm with a 100gsm white envelope. 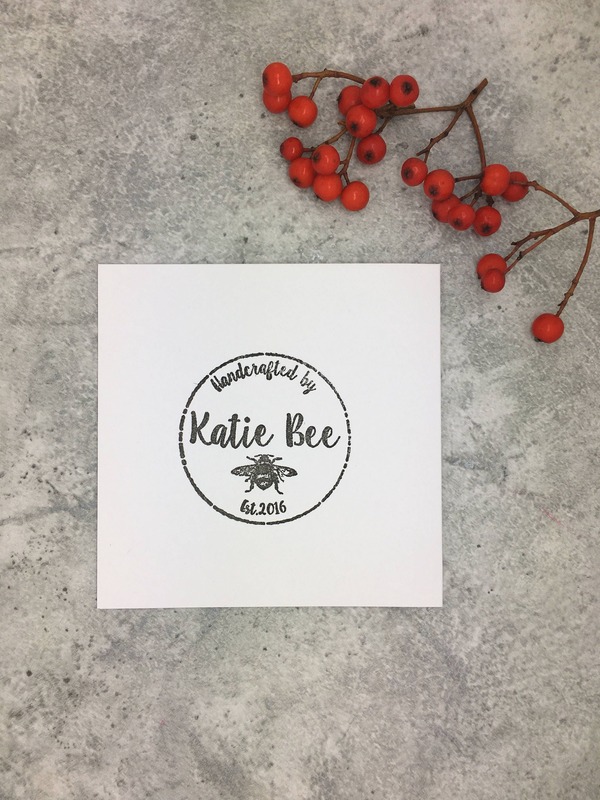 All cards are left blank inside for you to write your own message, with the Katie Bee logo stamped on the back. 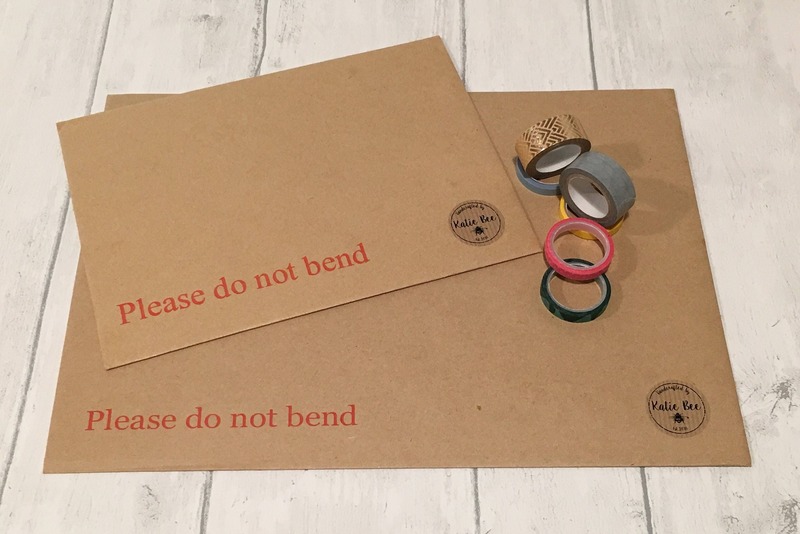 Your card comes sealed in a cellophane bag and posted in a hard back envelope to ensure that your card will travel safely to you!